All Black Foamboard has a black lighweight polystyrene core backed onto a black card and p..
Foamboard has a lighweight polystyrene core backed onto a card and paper liner foamboard can be used..
Self Adhesive Foamboard a great way to save time when mounting your work. Suitable for Mounting ima..
Foamboard has a lighweight polystyrene core backed onto a white card and paper liner foamboard can be used for a variety of artwork uses, from presentation to model making. 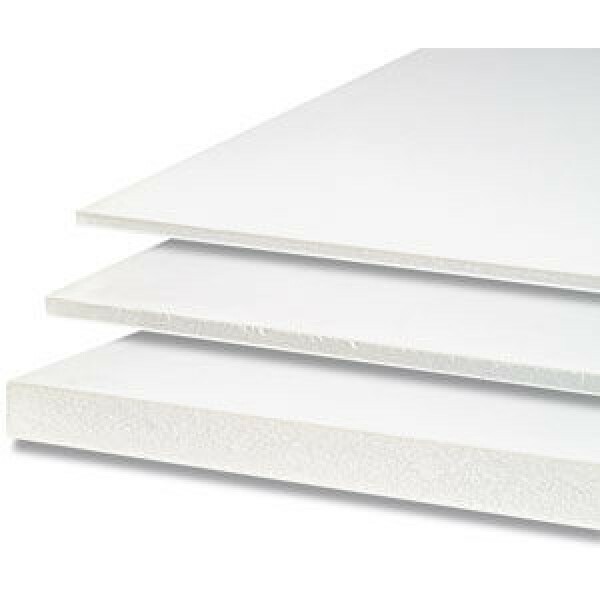 Used extensively in the exhibition and display industry foamboard is the ideal product for short and medium term use. We hold good stocks of A3 Foamboard with Next Day Delivery available.